One of the highlights of our recent visit to Milan was our day trip to stunning Lake Como and its collection of lakeside communities. Located just thirty miles north of Milan at the base of the Italian and Swiss Alps, Lake Como is an area with such gorgeous scenery that it has to be seen to be believed. We knew from photos and research that this area was beautiful, but nothing prepared us for the absolute paradise that awaited us. This trip is easy to do on your own, so if you are visiting Milan, there are no excuses for not heading north to what is arguably one of the most scenic regions of Italy. 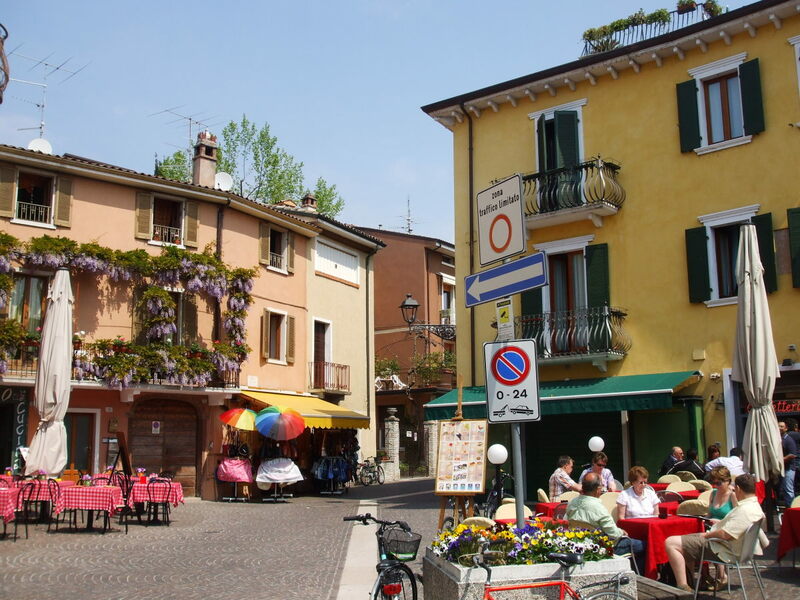 There are numerous options available for visiting the Lakes Region of Italy. 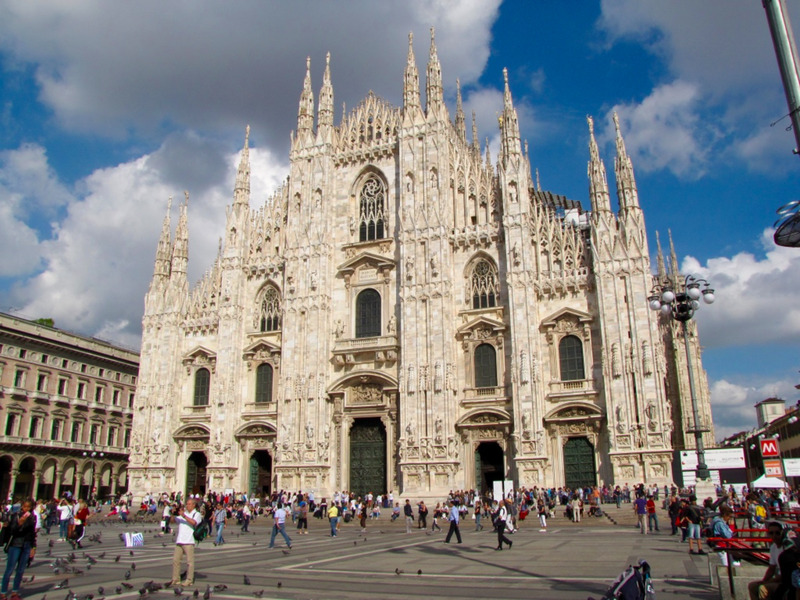 You can certainly take an organized tour from Milan, and a little research will yield various choices. This is fine, as long as you don’t mind being on a strict schedule and not having total control over what you see and do. A much better option, which will also be much cheaper, is to set out on your own so that you can see what you want to see and spend your day without someone else’s schedule hanging over your head. I think you will find this an easy trip to make, and it will result in a much better experience. 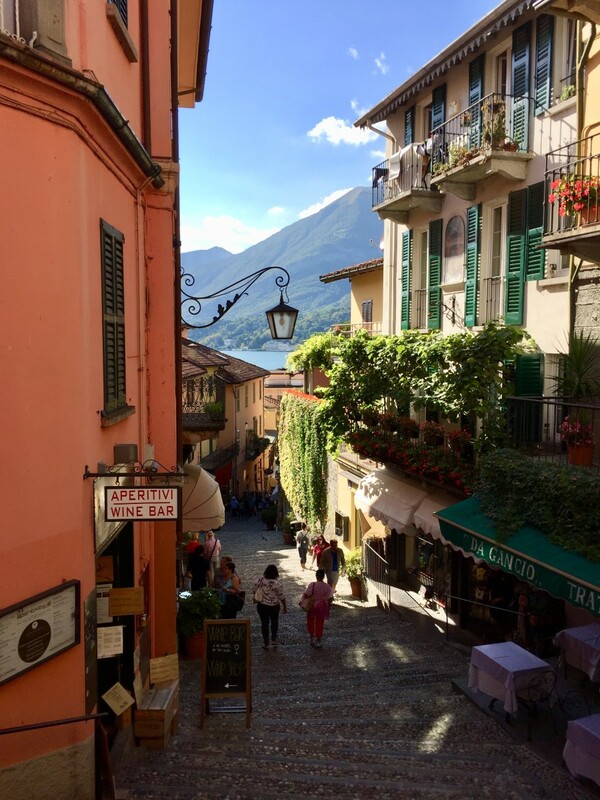 Most day trip itineraries for visiting Lake Como from Milan will have you take the train to Como, see the town, and then take the ferry up to Bellagio before ferrying back to Como for the train ride back to Milan. In an effort to maximize our visit, and see as much as possible, we decided to take the train to Varenna, followed by the short ferry ride to Bellagio, followed by the longer ferry ride to Como, and then the train back to Milan. 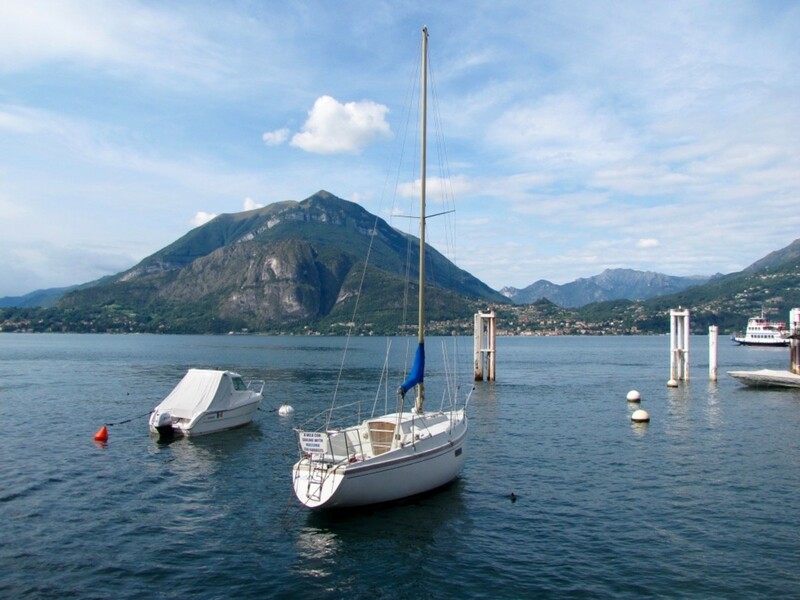 One of the reasons we decided on this itinerary was that taking the ferry from Como to Bellagio, and then back to Como, means you’re spending an awful lot of time on the water. Not that this is a bad thing, but each leg of this journey can take an hour or two, depending on which ferry you take. Doing this round-trip means missing out on the opportunity to see one of the beautiful lakeside communities. Also, we decided on a route that went from Varenna to Bellagio to Como; you can certainly do this in reverse. We wanted to get the longer train ride out of the way early as opposed to late at night, but either way works just fine. Well, Varenna is one of those sleepy, lakeside communities with an abundance of charm and stunning views. You will find that it is also not nearly as crowded as some of its more visited neighbors. Varenna is located about midway up on the eastern shore of the lake. The train ride from Milan Central Station to Varenna will take approximately an hour and the cost is only about 7 euro. Trains leave pretty much every hour. Varenna is special for a number of reasons. First and foremost is that it offers a less touristy experience than some of the other lakeside communities. 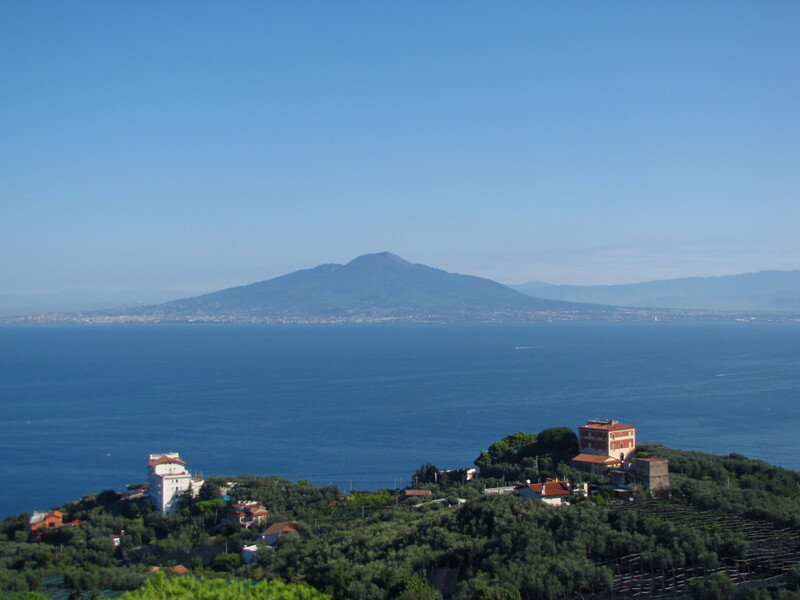 It has a wonderful path called the Passeggiate Degli Innamorati, or Lover’s walk, that hugs the coast and allows for great views of the lake. Its cobblestone streets and narrow alleys will eventually lead you to the historic center of Varenna, and the Church of San Giorgio with its clock tower rising above the town. 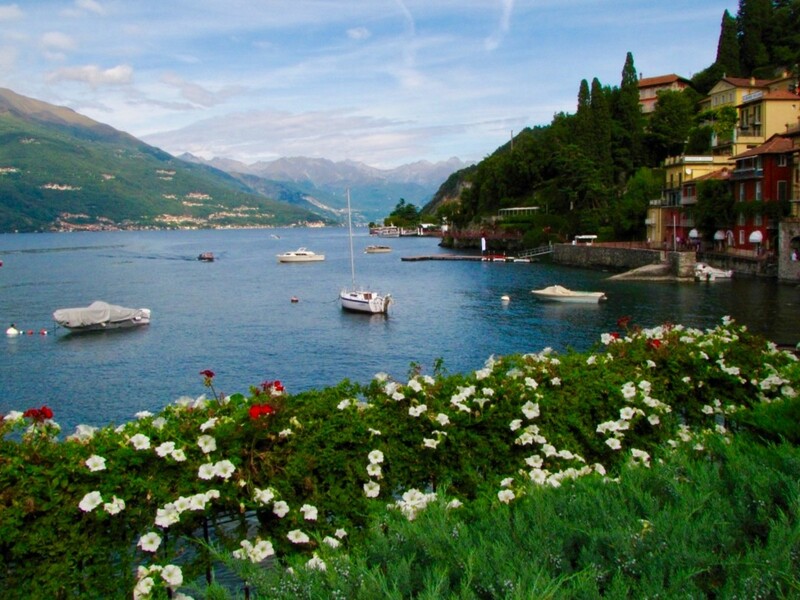 Within eyesight of Bellagio and Menaggio, it’s the perfect location for exploring the mid-section of Lake Como. If I were to spend some extended time on Lake Como I would seriously consider using Varenna as my home base. After a morning exploring Varenna, you can take the very short ferry ride to its more famous neighbor, Bellagio, often referred to as the “pearl of the lake. I envisioned Bellagio as a ritzy, glamorous, home for the rich and famous. What it is, in reality, is a beautiful and very interesting community loaded with charm and character. I personally found Bellagio to be a joy to explore. We walked the shoreline, climbed up the hill to the heart of town, explored ancient churches, shopped in narrow alleys, and had an absolutely fantastic lunch. And, you can do all of this with a stunning view of the lake always there to enjoy. It’s easy to see why so many tourists flock to Bellagio. The ferry from Varenna to Bellagio takes just 15 minutes and the cost is a mere 4.60 euro. You will thoroughly enjoy all that Bellagio has to offer. Plan on spending at least a couple of hours in Bellagio before hopping on the ferry for the ride to Como, which is located at the southern end of the lake on the western leg. You have a number of ferry options available to you for this leg of the journey; the slow ferry, the fast ferry, or the hydrofoil. This is one of the most scenic sections of the lake with soaring mountains, beautiful lakeside villages, and charming villas dotting the shore. The scenery is simply amazing! This is also the area where George Clooney has a villa, but unfortunately, he was nowhere to be seen. The ferry from Bellagio to Como will cost you 10.40 euro and the length of the trip will depend on which ferry you take. The fast ferry takes about an hour with the slow ferry taking approximately two hours while making at least ten stops. The hydrofoil can make the journey in about 45 minutes, but the cost increases to about 15 euro. Arriving in Como, you have some options available to you. 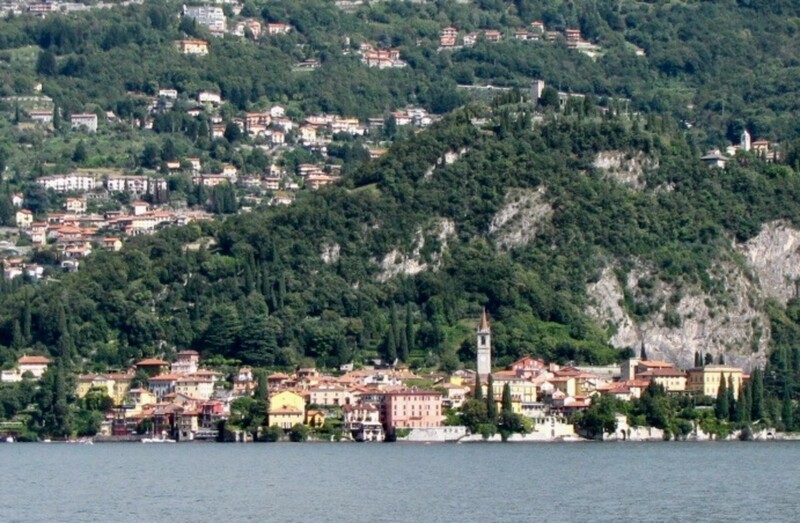 Como is larger than both Varenna and Bellagio, so it will take a little longer to explore. It has an extensive shoreline and a wonderful cathedral to take in. There is also a funicular here that will take you up the mountain to a community called Brunate. We opted to do this as it affords exceptional views of Como, the lake, and the Alps. The only problem we encountered with this was that we were running out of daylight. But, we anxiously jumped aboard the funicular and up the mountain, we went. It’s a little confusing once you get to the top as to where the best views are but we explored Brunate, found a beautiful church, and eventually worked our way to an overlook with views of the lake and the mountains. Watching the sunset atop a mountain overlooking Lake Como was a special moment and worth the effort. The train from Como back to Milan takes about 37 minutes and the cost is just 4.80 euro. Adding up all of the transportation charges for the day doing this on your own is extremely reasonable, just about 12 euro for the two train trips, and only 15 euro for the two ferry rides. The real advantage to doing this self-guided tour is that you can set your own schedule and explore as you see fit. So, let’s summarize a very active and full day trip from Milan, keeping in mind that this can also be done in reverse. Take the early train from Milan to Varenna, this should take about an hour. Explore Varenna during the morning. Walk the shoreline path; explore the interior, churches, and villas if time permits. If you are staying in Varenna there is the Castello di Vezio, which is an 11th-century castle, located at the top of the mountain overlooking Varenna. 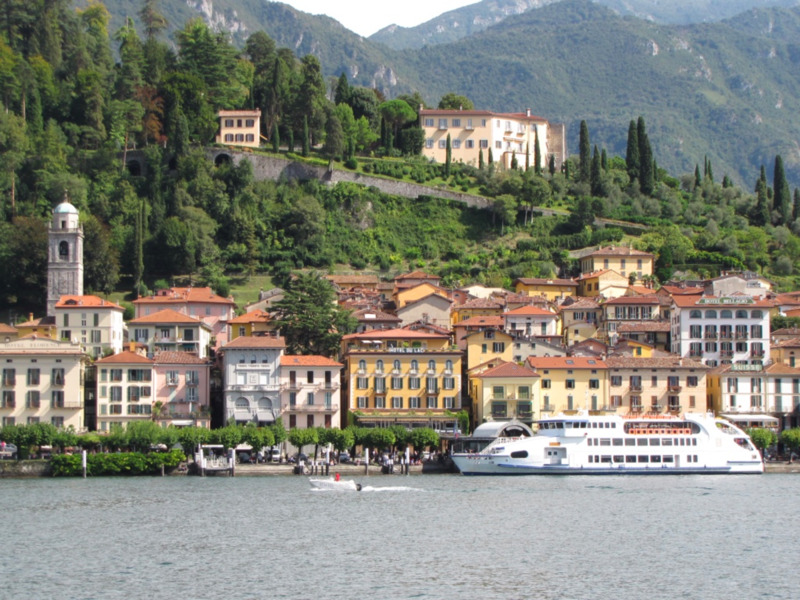 Take the short, fifteen-minute ferry from Varenna to Bellagio. 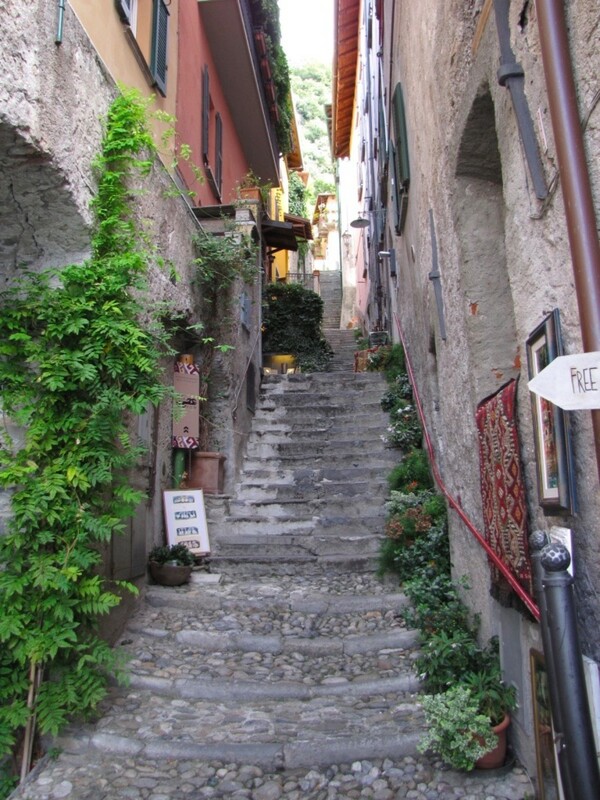 Have a relaxing lunch in Bellagio, and explore its churches, shops, cafes, and narrow cobblestone alleys. If you are extending your stay in Bellagio there are more villa’s to explore including the Villa Serbelloni and the Villa Melzi. If you timed your day well you should have time to explore Como, be sure to check out the cathedral, and if scenic views are your thing take the funicular up the mountain to Brunate. Take the train from Como back to Milan; this should take about 37 minutes. When taking a day trip to Lake Como from Milan you will certainly have to do a little planning and decide for yourself what you want to see, and how much time to spend in each community. Anticipate it being a long day and my advice would be to start early. If time affords, you may want to consider an extended stay in the lakes region, this is certainly something that we will consider if we return to northern Italy. It goes without saying that this is a very scenic and beautiful area, but you won’t really appreciate its grandeur until you actually get there and experience it for yourself. Whether you are staying in one of the lakeside communities, or just visiting from Milan for a day, be sure to include Lake Como in your itinerary, you will surely regret it if you don’t. What kind of train should I take from Milan to Varenna? Should I book the train tickets and ferry tickets ahead? You take the local (regional) train from Milan to Varenna. You cannot make reservations on these trains. You simply buy the tickets when you get to the station. Don’t worry, they don’t sell out. Same for the ferry, simply get your tickets when you arrive. We are planning on travelling to Varenna (from Milan Centrale by train), then onto Bellagio then Como by ferry. From Como, how do we return to Milan? Which station in Como do we depart from? And which station in Milan will this get us to? You can depart from the San Giovanni station in Como and it will take you to the Milan Centrale station. The total travel time is about 42 minutes. Trains leave pretty much every hour and a quick check of the schedule shows a 17:13, 18:13, 19:13, 20:13, etc. The cost is about 5 Euro. We are visiting Milan in October '18. Our arrival and departure airport is Bergamo. We are spending four nights, arriving at 11 am and departing at 10 am. During our stay we will be visiting Bellagio and Como. My question is, what is the best cheap way to travel from Bergamo airport to Varenna (with the least number of change-overs)? The cheapest way to get from Bergamo to Varenna would be to take the train. The cost is only 5.5 euro and trains leave every hour. There is just one change and this is in Lecco, which is at the bottom of Lake Como. The trip takes about an hour and fifteen minutes. There is a service called MyDayTrip that takes visitors on one-way trips. I checked with them and for 2 people from Bergamo to Varenna would cost 125 euro. The advantage of something like this is no transfers and no getting to/from train stations. They pick you up where you want and drop you off at your accommodations. It's pricey but very efficient and easy. I plan to visit Lake Como (day trip) from the Milan Airport as I have booked a hotel near the airport. Can someone please guide me on how to find a train between the Milan Airport and Lake Como. Some are direct, and some are via Milan Centrale. Is it advisable to take a train to and from Lake Como? I am not aware of a direct train from Malpensa to Lake Como. You can go from the airport to Como with a change of trains in Saronno. You can also go to Varenna in the mid-lake area with a train change in Milan. You say you are going to Lake Como, but where on the lake? Como and Varenna are the towns on Lake Como with train stations. To get to other towns on the lake you will need to take the ferry. Because there is no direct train service between Malpensa and Lake Como the train is not the most ideal way to get there. I would either rent a car and drive there or hire a driver to take you. Is Saturday or Sunday a better day for a day trip from Milan? Doesn't really matter. If you are going to Lake Como I would say pick the day with the nicest weather forecast. If you are trying to plan this ahead of time and don't know what the weather will be, pick the day that best fits your schedule. We are arriving late at night at Malpensa and we will stay at the airport hotel. Next day we will train it to Varenna for 5 days then take a train to Lucern in Switzerland. Is taking a train possible from Varenna or should we leave for Lucern from Como? Will the ferry between Bellagio and Com operate in the afternoon on Monday, the 30th of October? 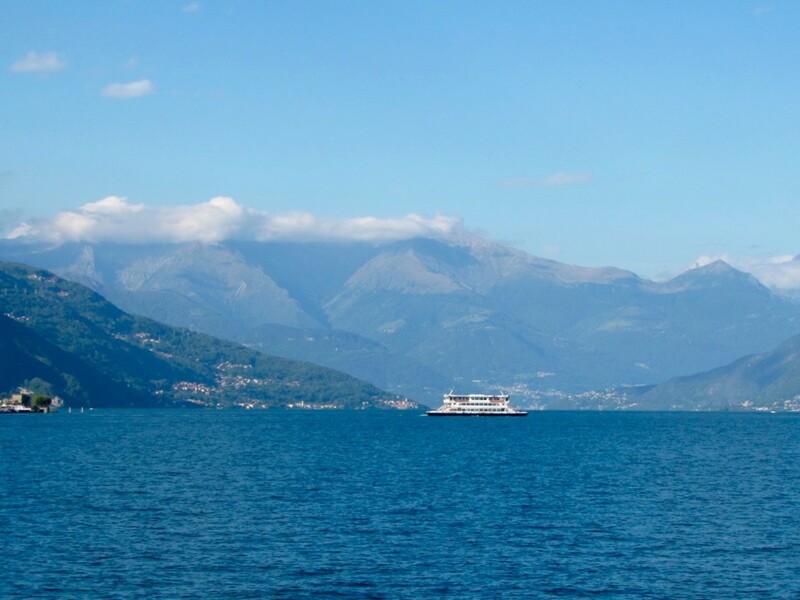 The ferry does operate between Bellagio and Como in October. The fall/winter schedule is not yet up on the website, they still have the summer schedule up. Certainly there will be an afternoon ferry from Bellagio to Como, however, there may not be as many as during the summer. Where in Milan did you take the train, and where is the closest station? We took the train from the Milan Centrale Station. There are a few other train stations in central Milan - Garibaldi and Cadorna are the closest. Which one is closest to you will depend on where you are staying. Milan Centrale has the most trains running to Lake Como, which is why we used that station. What are your thoughts on the Milano Card? Would it be worth purchasing for a trip to Lake Como from Milan? I would definitely consider the Milano Card. I'm not sure it applies to the ferries up on Lake Como, but for getting around in Milan, and for the discounts on sites, I do think it's worth it. We are staying overnight in Varenna end of April. From Milan C. Station we will take the train to Varenna. Our hotel is just a few minutes from V-Esino train station. I found your day trip itinerary very informative; we will certainly do the same. However, what do you suggest we do the following day since we have another full day before we go back to Milan. Maybe take the ferry with many stops and so we can get out of the ferry and explore these places. What do you think? We are planning a visit in mid-November and I was wondering if most of cafes and shops will be open in the smaller towns of Varenna and Bellagio this time of year and if they close on any particular day, like Sunday or Monday? While some establishments do close for the season I think plenty of shops, cafes, and restaurants remain open. If they do close for a day it will usually be Monday or Tuesday. Enjoy the area, it’s beautiful any time of the year. Would you recommend this Lake Como day tour for early November, or is this a must see in the summer months only? If the weather is good, I would certainly consider a day trip to Lake Como in early November. This is something that you can decide once you are there and you have a chance to see what the weather forecast will be. The Lake Como ferries still run although on a modified schedule and you will find plenty of restaurants and cafes open. One benefit of going at this time of year is that there won't be the crowds that you get during the peak months. We are planning to head to the lake area and stay in Varenna. Where are the best places to stay in Varenna other than the castle? It was fully booked. I recommend you try TripAdvisor. We usually start there, and it has proven reliable and accurate. We'll normally select three to five places from TripAdvisor to research further and then narrow it down to one or two depending on availability. 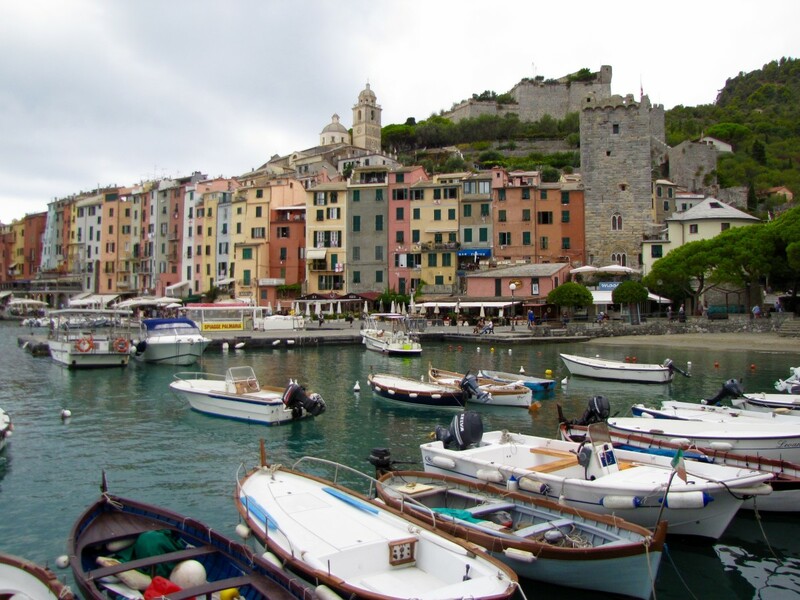 I am going to Cinque Terre after a short stay at Varenna. What kind of train should I take from Varenna to Levanto? Is it OK to buy the ticket at the station before I take the train? You would take the Regional train from Varenna to Milan and then transfer to the Intercity (IC) train from Milan to Levanto. You can buy the tickets at the train station before taking the train, just be sure to get there in plenty of time to purchase the tickets and find the track. I don't believe you can advance purchase the Regional tickets from Varenna to Milan? For Milan, to Levanto, you can, but you must be certain of what day and what time. I would just purchase them when you get to the train station. We plan to go to Lake Como, and from there continue on to Venice, can you tell me how to do it? It's going to depend on where you stay in the Lake Como area. I'll assume you are coming from the town of Como. From Como, you simply purchase a train ticket to Venice. The trip will require a transfer, most likely in Milan. When you purchase your ticket inquire as to how many stops. Some trains have only one connection while others have two connections. The fewer connections, the better. The trip will take approximately 3 and a half hours, but the cost is reasonable, about USD 40. How does Bellagio, Italy define "summer?" Looks like some Lake Como tours include Bellagio only during summer. The definition of ”summer” really starts with the peak tourist season in June. By then the weather is consistently warm and the tourists come in droves. I'm you are coming from Milan it’s a cheap train ride to either Como or Varenna. The train to Como is only about 35 minutes while to Varenna is about 65 to 75 minutes. The advantage of going to Varenna is you can use ferry system to work your way south to Como and have the short train ride home. As you cannot prepurchase train tickets on these regional trains you can simply check the daily train schedule and purchase your tickets when you get to the train station. It’s easy to do and doing it on your own gives you the flexibility to schedule the day as you please. Early May can be anyone’s guess with regard to the weather. It can certainly be nice or you can get a rainy, cool day. If you do the trip on your own you can select the best weather day when you get to Milan with zero risks as you can’t prepurchase the train tickets. Just pick a nice weather day and go. 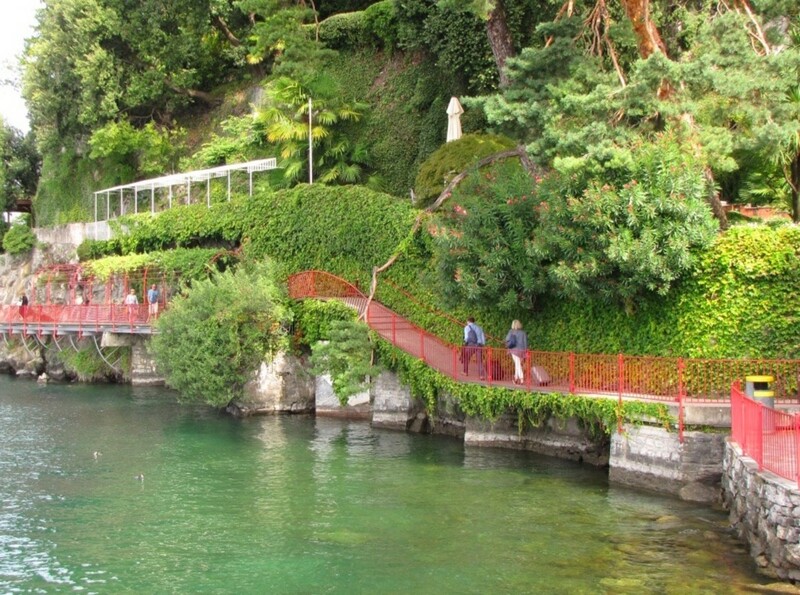 What is the best way to get to the funicular from the Lake Como ferry terminal? It's close by and walking would be the best way to get there. From the ferry terminal just walk to the left along the shore and you will come to the funicular within a few minutes. Do you know how to get to Venice from Lake Como/Varenna? You can certainly get to Venice from Varenna by train. I believe you would most likely have to change trains in Milan, but that should be reasonably straightforward. 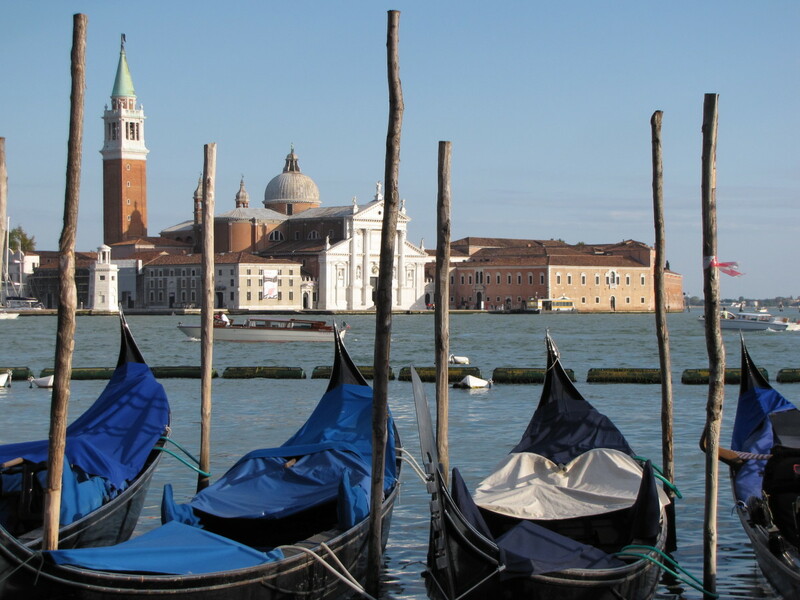 From Milan, you can get a direct train to Venice with no stops. Is Como San Giovanni within walking distance from the base of the funicular in Milan? Do you have to book your Italian train tickets in advance in July? I would think you could just buy them the day you depart or the day prior. These are all regional trains so there are no seat reservations. Also, there is no cost advantage to buying early as the ticket prices are set. We did this trip in September, a very busy time, and had no problem buying the tickets at the train station just prior to departing. If you are certain of the day you will be making the trip it can’t hurt to book them early to eliminate any stress, but it’s probably not necessary. I'm planning a trip at the end of December and was thinking of doing a day tour from Milan to Varenna (same itinerary as yours) and then to Lake Como, but traveling in the winter. Do you think will work? It can still work. The ferries still run, and restaurants, cafes, and shops will for the most part still be open. The weather, as always, will play a part in what you will be able to do. If the forecast is good when you get to Milan then certainly consider a trip up to Lake Como, it’s an absolutely beautiful area. Is it advisable to visit Lake Como in December? If you get a nice weather day then sure, visiting Lake Como would be fine in December. This is especially true if you are doing a day trip from Milan. Simply check the forecast and pick a nice day to make the trip. Where do I find the "slow" boat (batello) schedule from Bellagio to Como? It has the schedule for the Batello, Hydrofoil, and the Ferries. You don't really need to change much. When you are on the ferry from Bellagio to Como just get off in Lenno and visit the villa. The one thing you will need to be aware of is the time. Spending an hour or two at the villa means less time elsewhere in order to catch a train back to Milan at the end of the day. How to change the itinerary to include a visit in Villa del Balbianello? Hi Kyle. You really won’t need any help getting to the center of each town. Varenna is the least populated and from the train station you just need to follow everyone else departing the train and head down the hill to the shore. From there you can follow the shoreline path, it’s pretty easy. There are small directional signs to follow but the beauty of these communities is to just wander. In Bellagio, the town is right there when you get off the ferry so no searching for it. Most of the ally’s that go up the hill are loaded with shops and cafes. 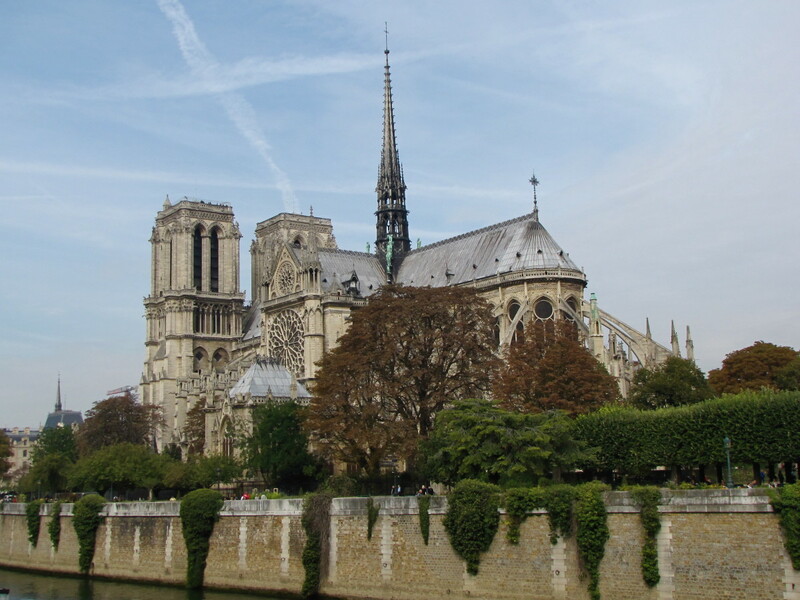 We just wandered, and I think you will have no trouble finding shops, cafes, churches, etc. These towns are not that big so don’t worry about following a set route. As far as how much time we spent in each town it was about what you are planning. Because we took the funicula up the mountain to Brunate we probably spent less time in Como, which is the largest of the 3 towns. Good luck, it’s a beautiful area. I'm going to make a day trip to Varenna/Bellagio/Como on 5/22. 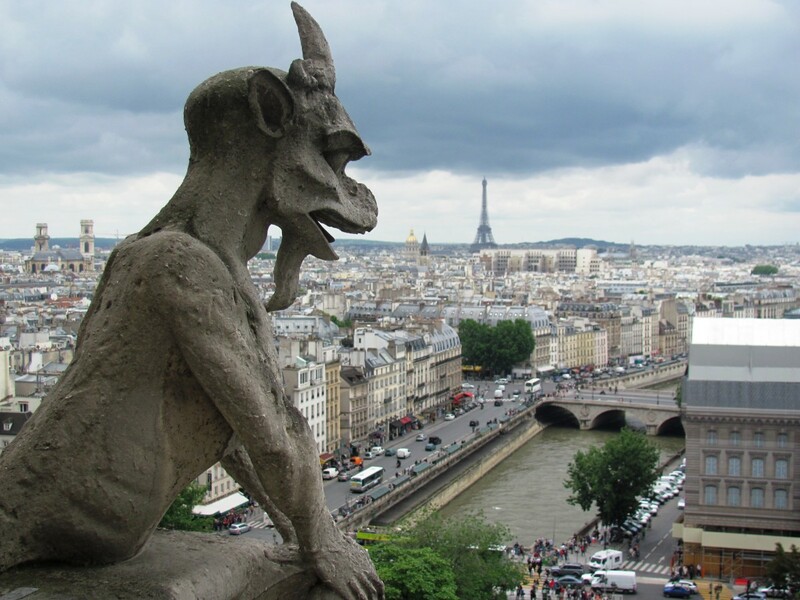 While your guide is a really helpful outline I was wondering if you could share a little more detailed itinerary. Are there signs that you followed from the shore to the center of each town? Did you just wander about and luckily stumbled upon alleys full of shops and restaurants or were you already aware of a general route that allows for scenery, shopping and sight-seeing? How much time did you spend in each town? I was thinking of allotting ~2 hours in Varenna, ~3.5 in Bellagio, and about 3 hours in Como (these times are in addition to travel which 15mins to bellagio and 45 on the hydrofoil to como). I'm planning on taking the 8:20 train to Varenna and the 7:13 back to Milan. Any tips or suggestions are welcome!! You just punch is where you want the ferry from/to and you’ll get the schedule. Thanks for this detailed and helpful post! I'm in Milan in October and will definitively to this day trip. 1) The "trenitalia" website lists 4 train stations in Como. Which station is relevant to this trip? 2) Can you please post the website of the ferry from Varenna to Como? 3) Can you please post the website of the ferry from Varenna to Como? Thanks again - excellent post! I think the 8:20 a.m. is fine. That gets you to Varenna before 9:30 a.m. and gives you some time to explore Varenna in the quiet morning hours. You should have plenty of time to explore Bellagio and Como also. Good luck, it’s a beautiful area. You’re very welcome Alex. Have a great trip. Dear Bill, 1 000 000s thanks! Thank you Daisy. Hopefully you found it helpful. Thanks Michelle. Congratulations on your first trip to Italy. You will love it. Thank you, Bill. Yes, I shall follow your recommendation to stay in Varenna. Thank you Grace for the kind words. If I had to select between Varenna and Bellagio to stay I think I would choose Varenna. Varenna is very quiet, especially in the morning before the tourists arrive. The ferry to Bellagio is just 15 minutes so it is close by. 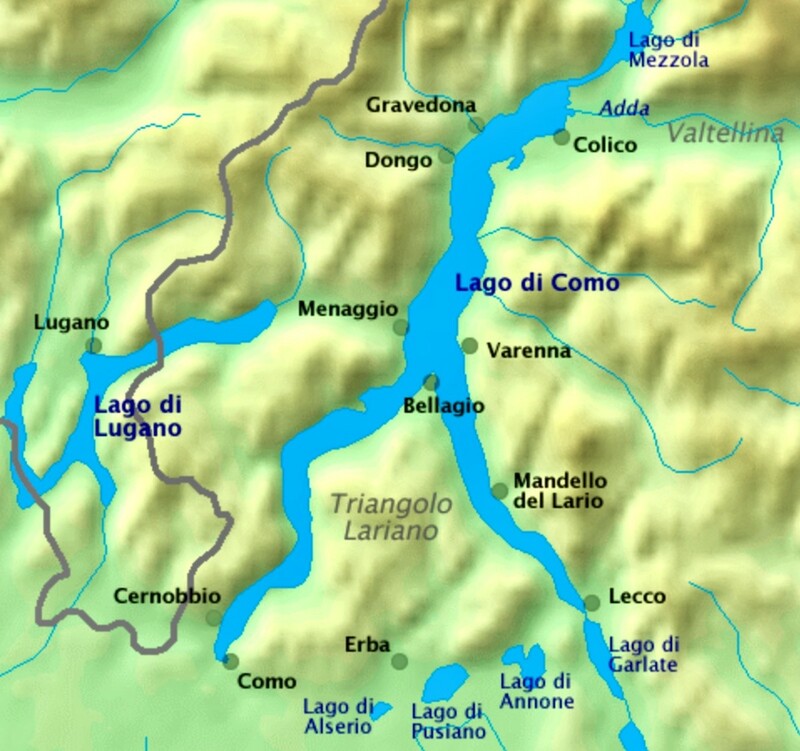 We have not been to Lake Maggiore yet, hopefully soon. Lake Garda we have been to, but we did not stay as we were just passing through. It was many years ago. Good luck, you will love the Lakes region. Thank you SO MUCH for sharing such a useful and practical itinerary to Como via Vereena and Bellagio. I shall be in Milan 16-18/3, then 19-21/3 in the Como region. After reading your article, I have decided to stay in Vereena or Bellagio instead of Como. Which would you recommend for a stay for 3 nights - Vereena or Bellagio ? We shall book an airbnb. Have you been to Lake Maggiore Lake and Guarda ? If so, I would love to read your itinerary too. You really won’t know until you can see a forecast perhaps a week prior to your arrival. Certainly the weather can be nice in March, but you could also get a rainy cold day. I would wait until you arrive in Milan and check the forecast to see if you will have a nice day while you are there. If so, then go to Lake Como. If not, there are worse places to spend a few days than Milan. Thank you for this info but could I know if the weather in end March(we are coming to Milan on March 22 and leaving on 25) is nice to visit the lake and spend a day there? Wow! Thank you so so much or such a well written and detailed explanation! A friend and I were about to spend 140 euros EACH with a tour company but this is so so helpful! Planning my Europe trip from South Africa in August this year, so this is really helpful! Visited Lake Como from Milan on Dec 8, 2018 and here is my itinerary and experience. I was traveling Solo. As I read somewhere, I installed the app "TRENORD" (helped me to decide my start time) and I booked ticket online just before I start the journey. When you book tickets online, you don't need to validate as well. It's a small journey, so better to book just before you start. Milan Central (09:20) - Vareena (10:10 to 11:45) - Bellagio (12:00 to 15:30) - Como (16:45 to 17:45) - Milan Central (19:00). It's been couple of days, can't remember exact timing. So I took 09:20 am train (ticket price €6.70) for Vareena from Milan Central and reached at at 10:10 am I guess. The train does not stop at Vareena for long, so be prepared. As soon as I got down, I checked the ferry time on Google and it was at 11:45 am. Book it and start walking by the lake and took some amazing photos. I reached Bellagio, the 20 mins ferry journey from Vareena to Bellagio is scenic. So don't bother to take a seat. Walked and visited the city, you can do shopping followed by lunch. The next ferry from Bellagio to Como was pretty late, so I took the bus C30 (check on google maps). The ticket you can collect from the Driver (But if you travel from Como to Bellagio, book the ticket from Kiosk). Try this site. You definitely want the direct train. When you get to the station to purchase your tickets be sure to ask for direct. Hi, thank you for this helpful post. Can you advise the train website to check the train schedules for San Giovani to Milan central station? I saw some trains have a connection and takes an hour and 30 minutes instead of the 37 minutes ride. Hi Pete and Carol. Thank you. So glad you had a great day. Certainly is a beautiful area. Thank you for your outline. Today we followed your advice. Milan to Varenna via train. Ferry to Bellagio. Walk around. Very nice indeed. Then slow ferry Bellagio to Como. Very close to 3hrs with many many stops criss-crossing the lake. Very lucky enjoying lovely weather. Fantastic journey. Lost count of photos taken sooo scenic. Then finally train from Como back to Milan central. A great day. Would highly recommend. You cannot pre-book the train tickets from Milan to Varenna and returning from Como. These are the regional trains and they cannot be pre-booked. Do not worry, it will not be a problem getting tickets when you arrive at the train station. We did not pre-book ferry tickets. I’m not sure you can do this, and we did not have a problem getting tickets when we arrived in Varenna. Good luck. Hello, for the train tickets from milan to varenna and como back to milan, did you pre-book the tickets? Also, did you have to pre-book the ferry tickets as well? Your welcome Sajid. Enjoy Lake Como, it, really is a beautiful part of Italy. Thank you so much, Bill. That's really cleared things up and I will be doing the trip via Varenna. Thanks for your help, and all the best. Hi Sajid. Thank you. A cheap day-trip from Milan to Lake Como can be done. The train from Milan to Varenna is just 13.40 euro for a roundtrip ticket. You can spend the morning in Varenna and then take the ferry to Bellagio. It’s just a 15-minute ferry ride and the cost is under 10 euro roundtrip. You might have to spring for lunch somewhere but getting to Lake Como from Milan is fairly easy and cheap. You can also just take the train from Milan to the town of Como, it’s even cheaper than going to Varenna. The only problem with going to Como is that it’s a much longer and more costly ferry ride to get up to the mid-lake region where Bellagio and Varenna are located. Good luck. Just do it, you never know if you’ll get the opportunity to return to this area. Thank you so much for this excellent guide, Bill. What would you say is the most cost effective day trip from Milan? I am afraid I am on a strict budget but would love to see some of Lake Como. Hi Mary. If I were going to spend 3 days in the Lake Como area I would definitely consider making Varenna my home base. It’s located mid lake, which makes it a nice location for visiting other lake front communities. Plus it’s beautiful. So, Lombardi is the region in northern Italy that contains Lake Como and the town of Como. You can take the train from Milan to the town of Como and you will find plenty of accommodation options there. No car is needed. The town of Como is located right on the banks of Lake Como, which is beautiful. From Como you can take the ferry to visit other communities on the lake. This is a popular way to see the area. When you look for a place to stay you want Como the city. Thanks a lot for great article. I am planning to go this summer to Como lake. I am not sure I actually understand how is it divided. We obviosly want to stay 3 days there and go back to Milano... can you anyhow help me with accomodation? Where should I be staying? We have no car so have this in mind too. Thanks! Hi Liz. Thank you. It's certainly a beautiful area. Would love to return someday and spend a week exploring all of the villages around the lake. Have a great day. This is a really informative article. I was last at Lake Como nearly 40 years ago, but your images bring the beauty of the area back to me. Hi Natalie. Thank you. Glad you enjoyed the tour of Lake Como. It really is a beautiful place. Have a nice weekend. You truly make me want to travel, Bill. Especially with the weather getting warmer! Thanks for a beautiful vision! Hi Peggy. Thank you. I completely agree, as soon as we arrived in Varenna we knew we should have planned to spend a few days there. Next time for sure. Thanks again, have a great week. This is breathtakingly beautiful! 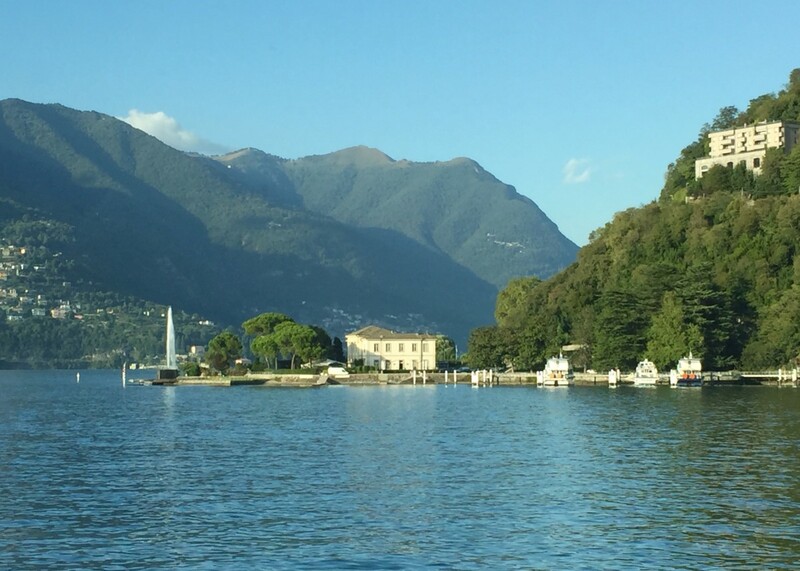 Thanks Bill for showing us your wonderful photos and sharing your day trip to Lake Como and the surrounding communities. It would be worth staying longer in those areas if time would permit. Thank you Heidi. Glad you enjoyed the tour. Hopefully you’ll get to see some of these places for real someday. Thanks for stopping by, have a great week. Thanks Terry. Definitely one of the highlights of our trip. Such a beautiful place. Looking forward to our next adventure. Again, your photos are breathtaking! Since I don't know if I'll ever get to these lovely places, at least I'm able to virtually enjoy them with what you share. However, I do hope to see some of the wonders you've featured for real! Have a great week! 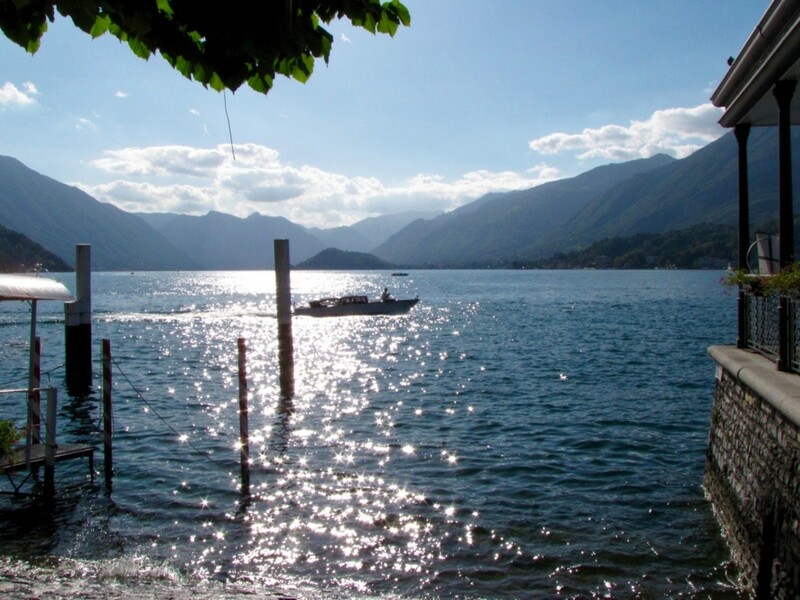 The shimmering sunlight on the shores of Lake Como, simply irresistible!! Gorgeous sunsets, from the mountains, overlooking Lake Como, mesmerizing!! Truly blessed and grateful for our memories here and can't wait to return again and again!! Thank you Linda. Certainly one of the most beautiful places in Italy that we've had a chance to explore. Have a great week. This sounds and looks like a wonderful area. I would love to explore it. As always, your photos are beautiful, Bill. Hi Thelma. Thank you. It really is stunning. I’m sure it was much less crowded in the 80s when your in-laws went, but just as beautiful. Glad you enjoyed the tour. Awesome! I have heard a lot about this place. 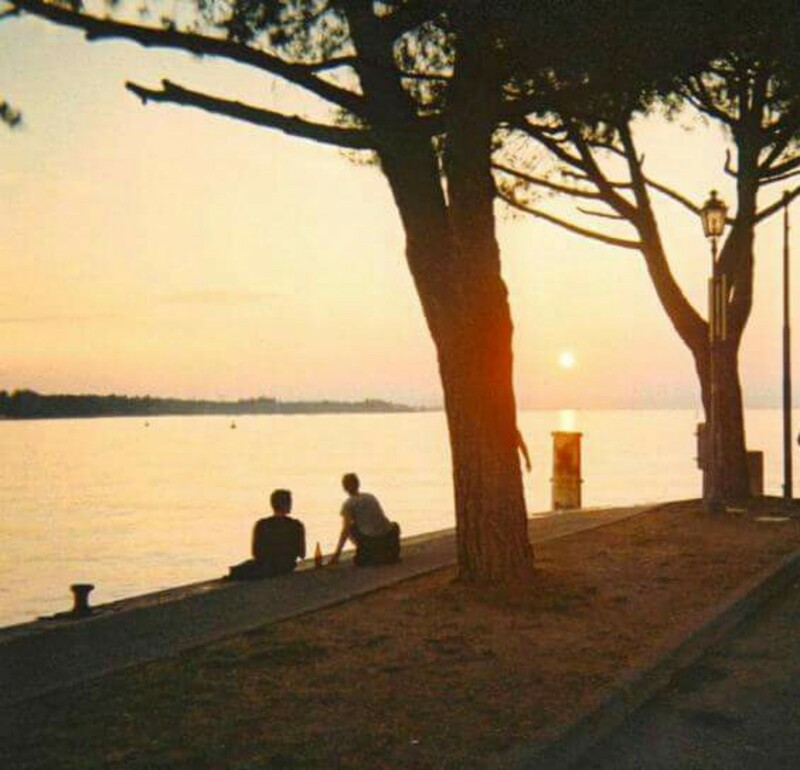 My late parents-in-law were there in the 80´s and they showed us a lot of stunning photos of Lake Come. I hope I can go there one day. Thanks for letting me tour with you virtually. Thanks Flourish. Making it sound easy means I did my job. It’s not that doing this day trip is difficult, it just takes a little planning and the willingness to maybe get a little outside our comfort zone. The rewards were very much worth the effort. It is indeed a stunning place and the pictures do it very little justice. This is stunning, simply a postcard perfect way to spend a day if you’re lucky enough to travel to that part of the world. Your tips make it seem so easy. Hi Linda. I should have listened to my gut and stayed at least a few nights in Varenna. Truly one of the most beautiful and scenic communities to be found in Italy. Next time for sure. Thanks for stopping by, have a great day. Hi Mary, I had a feeling before we left that one day would not be sufficient for me in Lake Como. Now, I’ll have to find a way to return, such a problem to have. When we do return we are definitely heading to Varenna as our home base. What a beautiful area. Have a great day Mary. Bill, my last visit to Italy was in 2006. We stayed in Varenna 4 nights and absolutely loved it. You've described it wonderfully, making me long to go back. Such a lovely place. We drove to Como once from Lausanne but I wish we stayed there for a few days. Next time, we will and take your advice of staying in Varenna. Thanks Bill. This was definitely one of the best days that we’ve had in Italy. I’m basically a lakes and mountains type of person so this was pure heaven for me. The pictures don’t come close to portraying the natural beauty of this area. If we ever go back to this area we will stay awhile. Sigh! It won't happen in this lifetime, but thanks for letting me stow away on your trip, buddy!